Insure your bets on the Euros with Euro 2016 Red Card Offer at online sportsbook Bwin. Claim a refund of up to £25 Free Bet with Bwin’s Euro 2016 Red Card Offer. 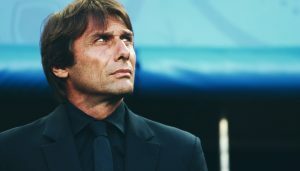 Just place a wager on any match during the European Championship in France, and if a player receives a red card during that game and your bet is a losing one, then the online sportsbook will give you money back up to £25 in Free Bets. It’s that easy with Euro 2016 Red Card Offer! 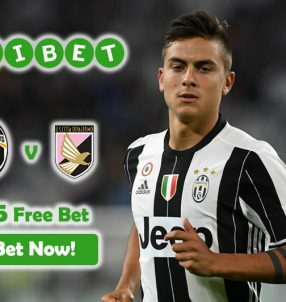 This bonus lasts all the until the end of the tournament (July 10), but don’t miss a single chance to collect the Free Bets with the online sportsbook in case a red card is shown during your games. A number of high-profile players that are participating at the Euros are prone to collecting cards, and especially red ones. 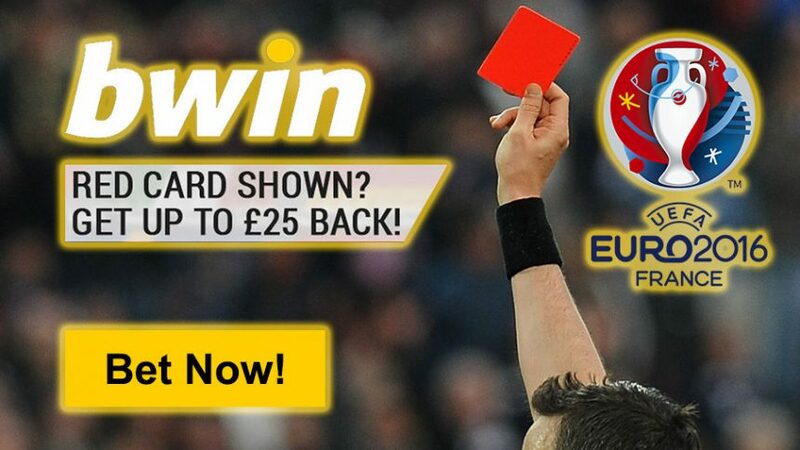 So join Bwin today and place a bet on any match to get back £25 Free Bet thanks to Euro 2016 Red Card Offer. The Czech Republic 4.40 (17/5) will play Croatia 2.05 (21/20) today (June 17), while later in the evening Spain 1.50 (1/2) will take on Turkey 8.50 (15/2) as they look to defend their European title for the second time. 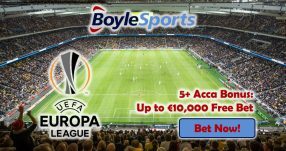 Over the weekend Belgium 1.80 (4/5) will face Rep. of Ireland 5.00 (4/1), Iceland 2.65 (33/20) will go up against Hungary 3.10 (21/10) and Portugal 1.87 (87/100) will be looking to clinch a win over Austria 4.75 (15/4). La Roja are the third favourites 5.25 (17/4) to win Euro 2016, right after World Cup champions Germany 5.00 (4/1), who have yet to find their true form at this year’s tournament. The hosts France are the ultimate favourites 4.60 (18/5) to clinch their third European title on home soil, and by the way they’re playing at the moment that’s quite likely. 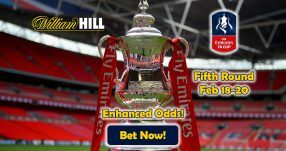 England on the other hand are fourth favourites 9.00 (8/1), but after yesterday’s comeback victory against Wales, their odds for the title might slowly start to increase. Join the online sportsbook Bwin and bet on Euro 2016! Get up to £25 Free Bet with Euro 2016 Red Card Offer! Claim Bwin’s Euro 2016 Red Card Offer now!